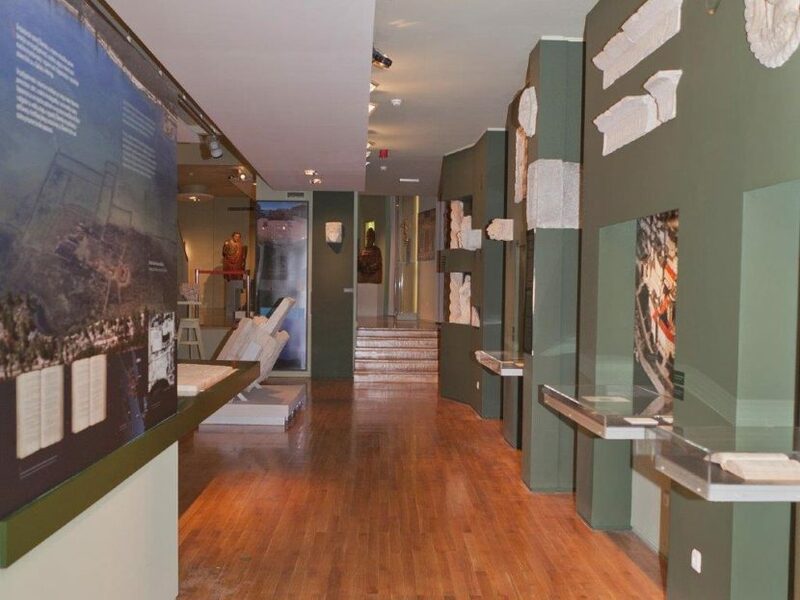 The Šibenik City Museum is a complex type of museum that consists of archaeological, cultural-historic and ethnographic departments. 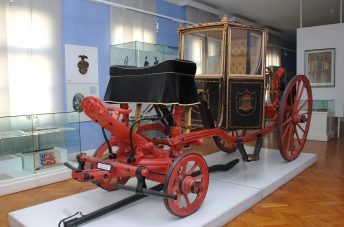 The museum was founded in 1925 to celebrate the thousand-year anniversary of the Kingdom of Croatia and is in the former Prince’s Palace, which is very close to the Cathedral. In a way, everything that is relevant to the history of Šibenik and its region, you will find here. This Prince’s Palace used to serve as a coastal defence system for the city during the period from the 13th and 14th century. The only thing that is saved until today are two wings. The south wing extends alongside the coastline, from a square to a rectangular tower. This square tower known as the Prince’s Palace Tower is known for being the largest defence facility on shore! Between it and the Bishop’s Palace lies the renaissance city door from the 16th century. Along the centre of the ground floor in the southern wing is a gothic passage with the city’s door on which the city’s coat of arms can be found with an image of its patron, St. Michael. On west wing of the Prince’s Palace there are two doors with simple stone frames, and in between them, there is a niche with a baroque sculpture of the city’s prince, Nicola Marcella. In 1975 the adaptation of the Prince’s Palace was completed, which covers more than 2500 m2 and enables contemporary functioning of the museum. The museum fundus has about 150,000 objects of importance, but they are specialy proud of their Prehistoric Collection of the Archaeological Department, which contains objects from ceramics, metals, bones and stones originating from the Šibenik region and medieval collection that contains jewellery, weapons, ceramics, fragments of sacred stone furniture from the 7th to the 15th century. 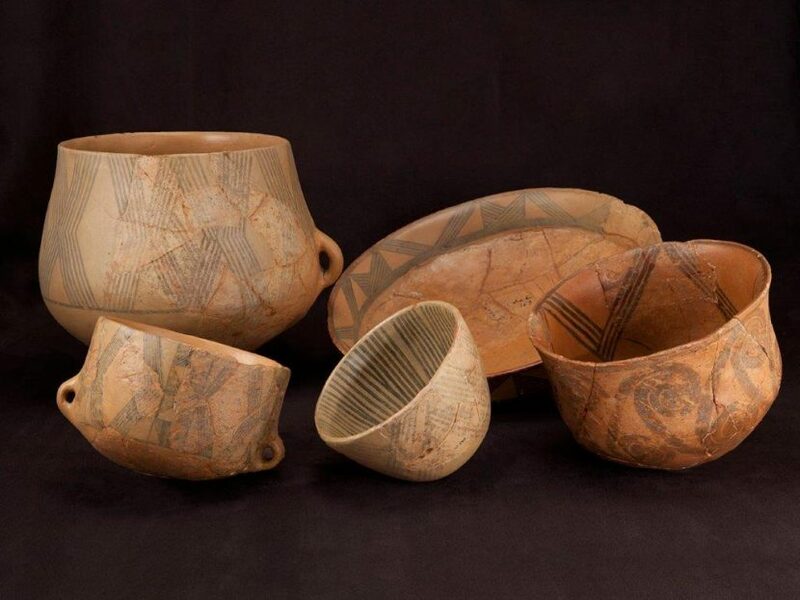 The Danilian Riton – a liquid bowl (5,000 BC) is one of the most important objects in the Department of Archaeology. 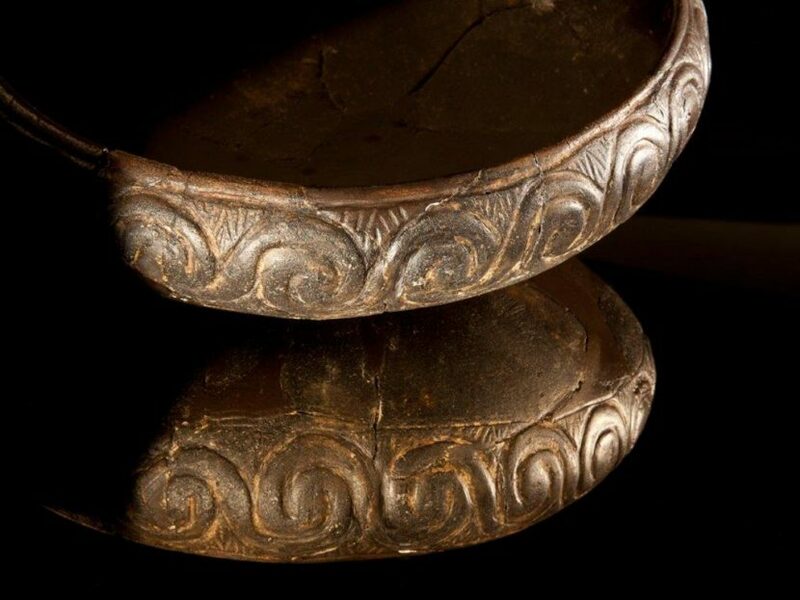 The Cultural and Historical Department of the Šibenik Museum of Art deals with the period of Šibenik history from the first mention of Šibenik in 1066 until the fall of Venice in 1797. 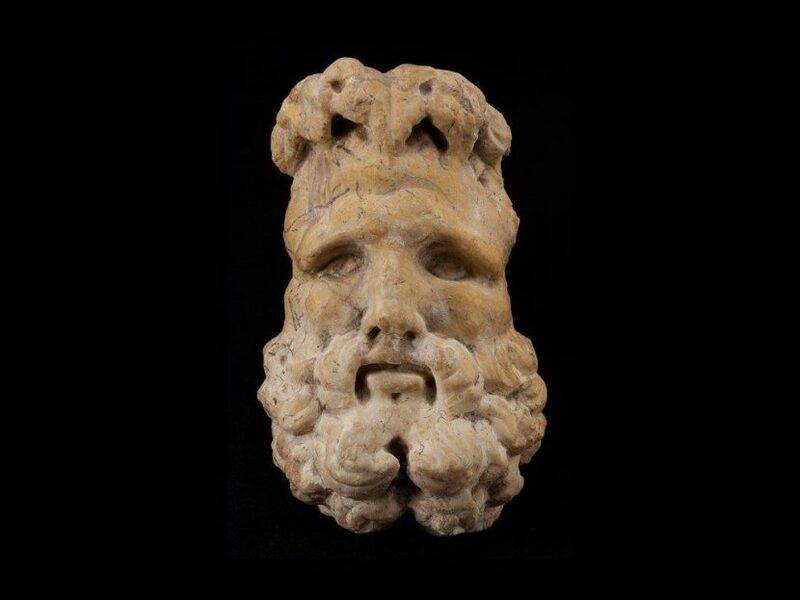 The abundant building includes stone monuments and fragments, paintings and graphics, weapons, old photographs and postcards, archives, rarities, maps, numismatics, jewellery, furniture, textiles, objects of everyday use, liturgical objects and musical instruments. Other important items include oldest bell in Croatia (1266), the Virgin with the Child, a painting by Blaž Jurjev, a late-20th century painter from Dalmatia, as well as the portrait of Antun Vrančić (1571). 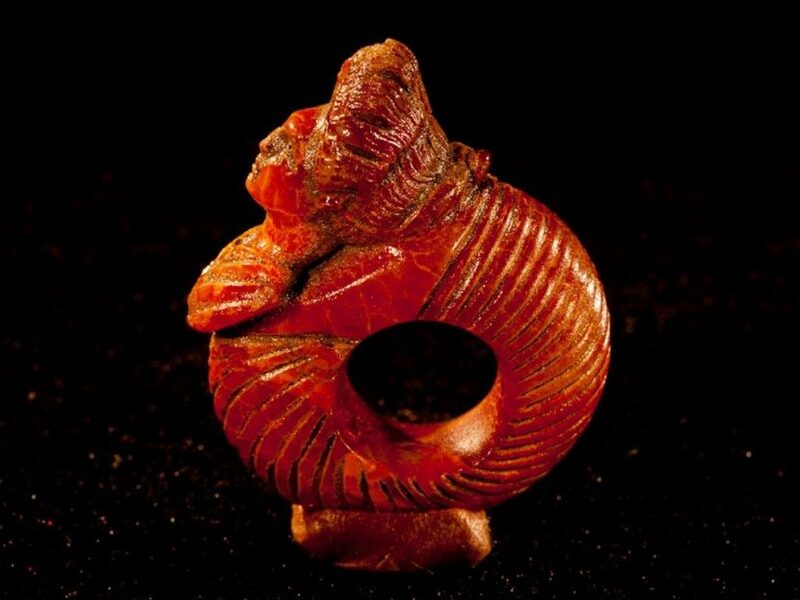 The Ethnographic Collection is also interesting as it contains folk costumes and objects of everyday use from Šibenik and its surroundings from the 19th and 20th centuries. Šibenik city museum keeps a very interesting cartographic collection (16th-19th century), featuring in particular the prints of Martino Kolunić Rote and Bože Bonifacić and the atlas of Venetian cartographer Coronelli donated by Šibenik native, Boris Baranović. Make sure to check it out. 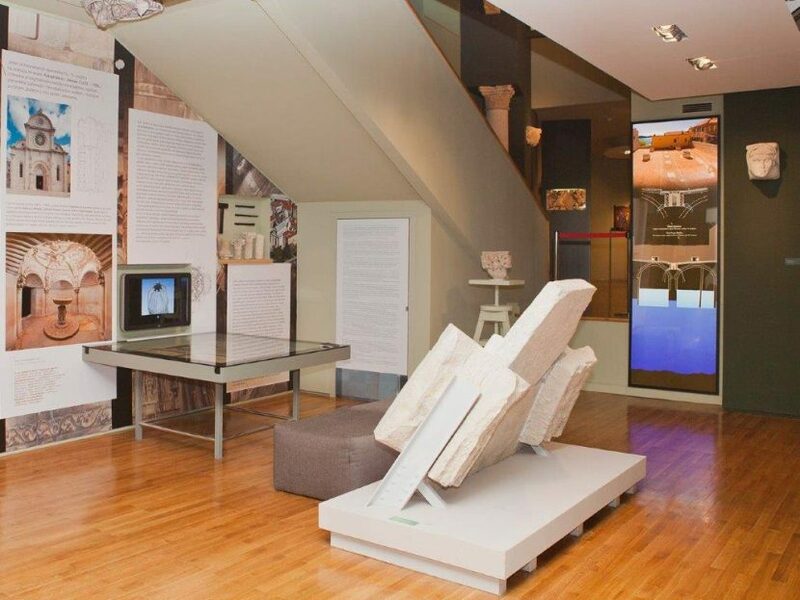 If you go inside, Šibenik City Museum will give you a nice tour through the history of this place. 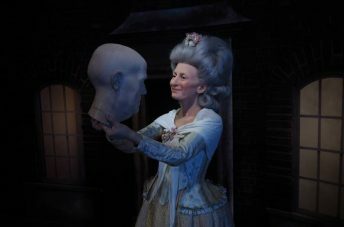 It will take you back in time and show you all there is to know about events that took place here. In case you want to discover it and find out some amusing facts about this region, make sure you download our Cultural places app, where you can get an audio tour of this place. 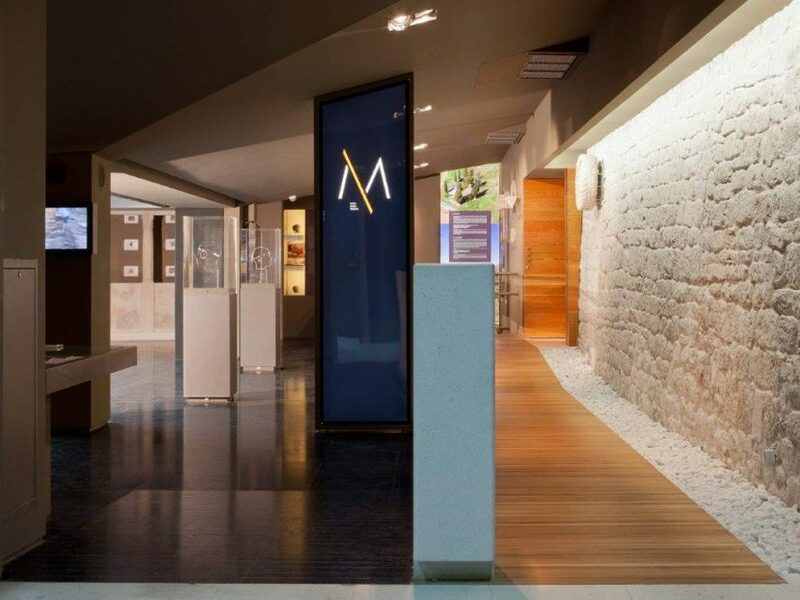 How to get to Šibenik city museum? The museum is located on the coast, next to the cathedral of Saint James. It is easily reachable by car. Free parking spots are also available. In case you are still not sure, here is a map of Šibenik with a location of a museum. What to visit in Šibenik? 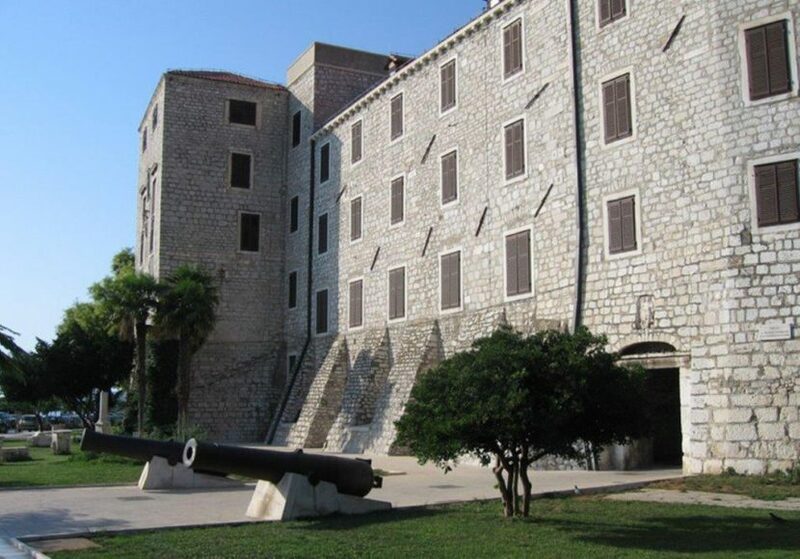 If you have ever visited Croatia, you know that many Adriatic cities have nice and old fortresses. It has become sort of a normal thing in these areas. Many of these fortresses are very old and well preserved, but very few cities on Dalmatian cost can say that they have four fortresses! 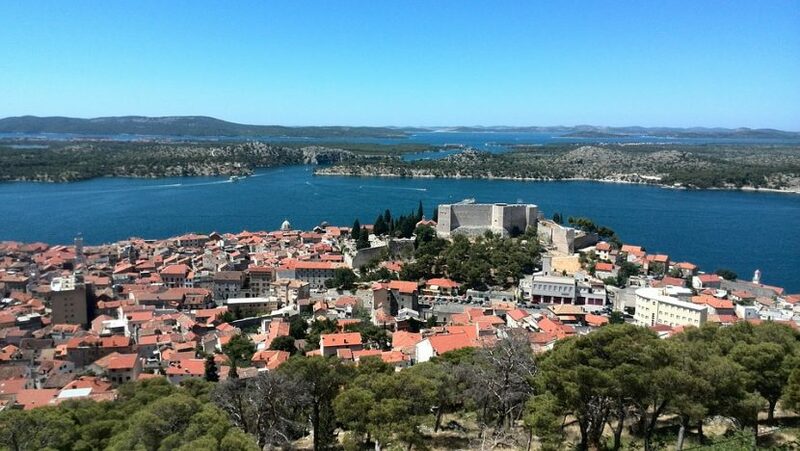 Probably the most famous fortress here is St Michael’s Fortress, the medieval castle dating from 11th century around which Šibenik was first created. The fortress was constructed by King Petar Kresimir IV himself, who many here consider for one of the founders of Šibenik city. Much of what can be seen here is completely authentic, and some of the most interesting parts also include thirteenth-century stoneworks. Šibenik is connected to the open sea by the picturesque, narrow and winding St.Anthony’s Channel. Entrance to the channel is guarded by St.Nicholas’ Fortress. 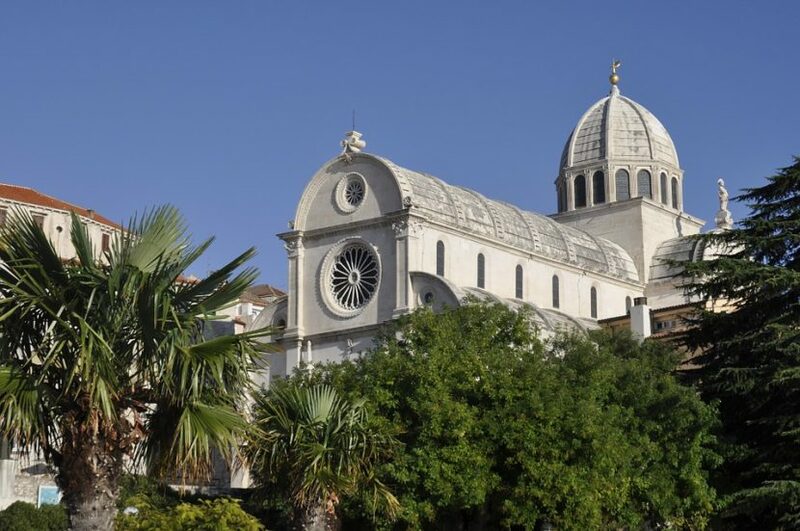 In case you did not know, Šibenik is home to well known UNESCO World Heritage Sites, the Cathedral of St. James. This amazing masterpiece was built from 15th and 16th centuries, and five generations worked on this building for more than one hundred years. This cathedral is the only such building in Europe made exclusively out of stone, without using binding plaster and wooden construction elements! Together with the Renaissance City Hall and surrounding churches, palaces, and Rector’s Palace, it makes one of the most beautiful squares in Croatian heritage of urban architecture. 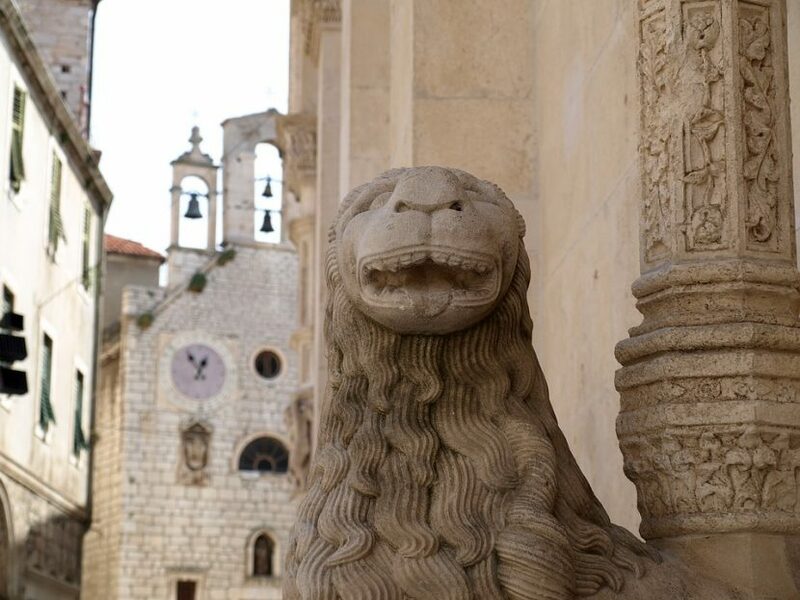 With 24 churches and six monasteries, not many other cities can sing this chorus like Šibenik. The bells ring every half hour, gives you the feeling that city is talking to you, telling you its stories. Wonderful Šibenik Archipelago consists of 242 islands, reefs and cliffs with only ten settlements on the islands. The most known among them all is Zlarin – island of coral divers. If you want a local to help you find a street by its name, you are out of luck. Here, in most cases, people use street names that are passed down from generation to generation, with meanings known only to them. But that shouldn’t stop you from walking through many of the little stone-covered streets that have been walked upon for almost a millennium. 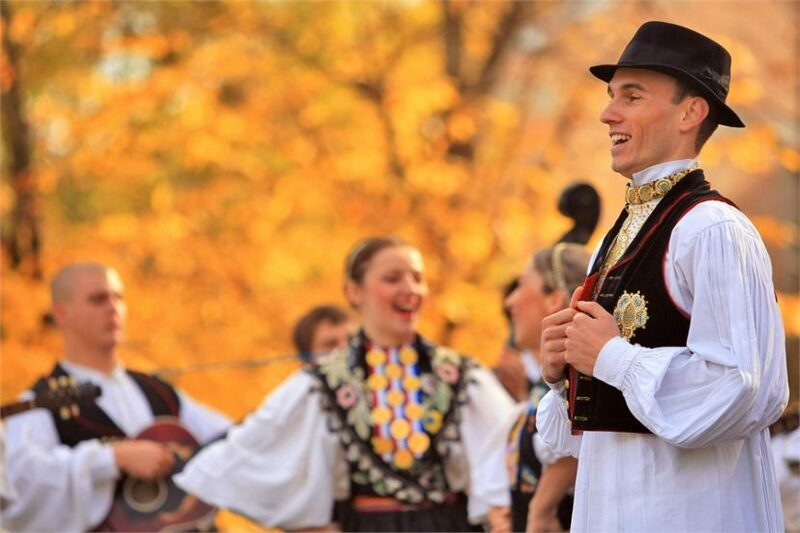 An entire Dalmatian coast is known for one special type of music, called klapa. This is very authentic local music, that can be heard throughout the Croatia’s coastline. It’s so popular here than UNESCO inscribed it into its Intangible Cultural Heritage list! In case you never listened klapa before, be aware, cause it will give you goosebumps. Even if you don’t understand the words. There are plenty of things you can do in Šibenik. Even though places like Dubrovnik and Split, get most of the attention in the eyes of the travellers, Šibenik has some amazing things you can do and see here. Give it a try. Really! It’s truly an amazing place. Let us know how do you like. P.S. Special thanks to TheGuardian and Vorschau.agentur-konsens, for providing us with some information on this place.